In business life, every service and feature you are using is supposed to be effective, simple and time saving. Distribution groups are one of such features. Do you use distribution groups when sending the emails inside or outside the company? With Ubertesters you can use the distribution groups for another purpose as well. For example, to create a user structure and make it consistent and logical. You could notice the “Distribution Groups” option in “Administration” menu of your project. What is it for? How to use it? What are the benefits of using it? Let us provide you with some useful tips. Distribution groups allow you to organize all the members you’ve added to your project in groups to manage them efficiently. The range of distribution groups can include internal QAs, hired QAs, testers, developers, beta users, different focus groups etc. To provide access to the new build there is no need to mark each member separately – you can grant an access to the whole group instead, freaking fast! Then press Create Distribution Group. It will take you a minute to edit the group if needed – you can remove or add the new members within a few clicks. Collaborate efficiently and save time. Distribution groups are dynamic. If you add the member to the group, he is given an access to all the builds shared with the group. If you remove him, an access will be lost for him. What are the benefits of using the distribution groups? You can choose the aspects that should be tested by each of the groups. For example, group “A” is testing all the cases related to login process. Group “B” is testing the cases related to the product purchase, etc. There are many cases when the distribution groups can be of a great help. See below two of them. For example, you are testing mobile banking app and have “Regular Testers” distribution group and “Collaborators” group. With the help of our API, you can configure the settings so that the new build would be automatically shared with the first group while an access to the second group was provided only after initial testing. The next example can be used when you test the gaming apps. You can create the groups based on the age groups – “Children from 9 – 14”, “Teens 15-19”, “Adults”, etc. When they will report the issues, you can analyze the types of the reported data by the group. Why your organization should use the distribution groups? They are convenient in use. You should not worry anymore that you forget to share the build with some of the members. You can share the responsibilities and rights by the group. In general, the idea of working with a group of members instead of working with each of the users separately saves you a lot of time and makes your life easier. And what are the examples of distribution groups that may work for your industry? Make sure to share your thought in comments! 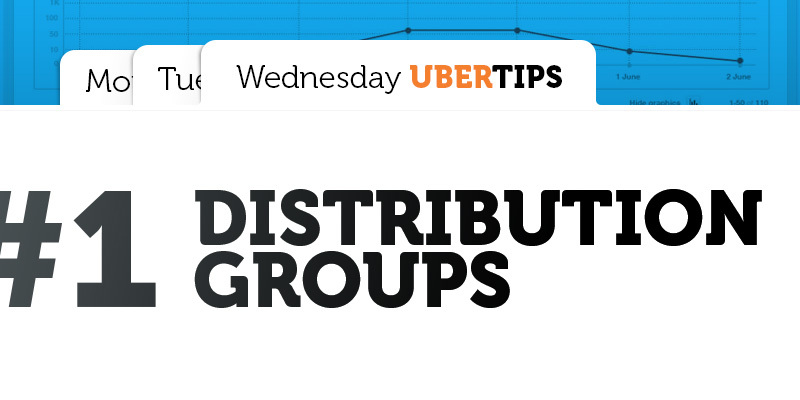 Try today using the distribution groups for your projects to check all the benefits of this feature. You won’t be disappointed – pinky swear!